is a traditional Ukrainian instrument made of spruce or pine. It has a length of approximately ten feet long and is in the shape of a horn (i.e. conical). It was traditionally used to communicate messages across mountain ranges. 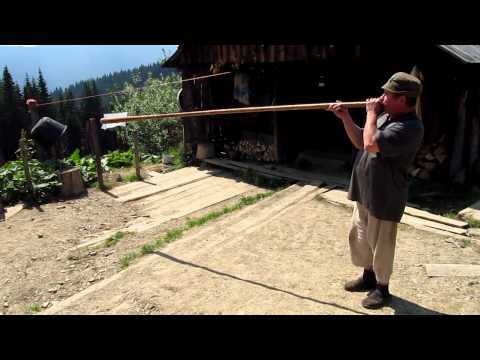 Video Overview: Here is a video showing a man playing a trembita. How many different pitches can you hear coming from this single bore instrument?